I just went back and looked at my post of my favorite books from 2014 and noticed that I said it hadn’t been my best year for reading. Well, 2015 has given 2014 a run for its money as far as poor reading. Between having a new baby, moving across the country, and Ella starting school, this year has been a little bit insane for me and my reading has definitely suffered. On the plus side, I’ve read more picture books than I ever have, probably. I’ll take my wins where I can get them. 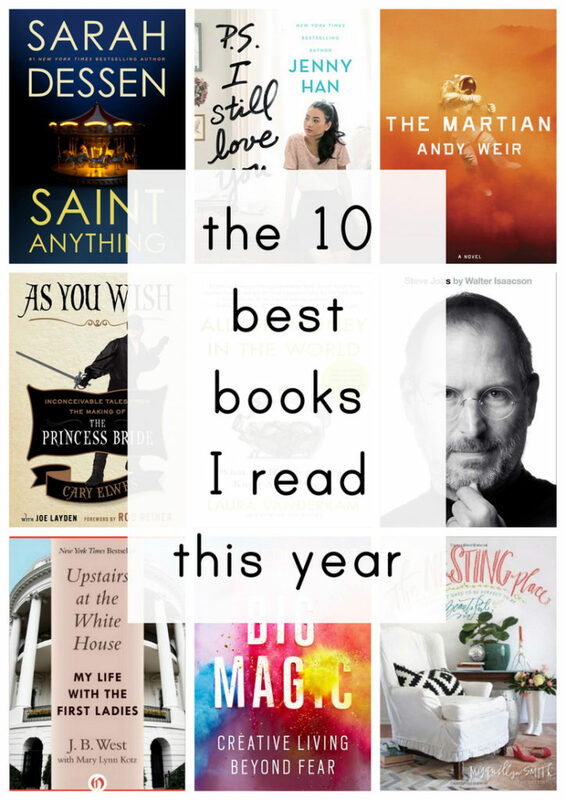 I still read some pretty great books this year – here are the ones that I loved most. All the Money in the World: What the Happiest People Know About Getting and Spending by Laura Vanderkam. Since we had a major financial change this year (going from no income for Bart to an actual real job), reading this during his last semester made a big impact on me and I think about various aspects of this (for instance, is it worth it for me to just pay the $2 for not picking up the library book on hold and avoid a 45 minute late-night library run? Yes. Sometimes it really is). I think this would be a great book for graduation or newly-wed presents (full review here). This sounds so depressing when you hear it’s about aging and terminal illnesses and death but I found it incredibly empowering to think about how I want to approach the end of my life and what conversations I should have with my family members as they age too. I wouldn’t necessarily give this one as a gift to someone turning 65, but I do think everyone could benefit from reading it. Plus, it’s just SO interesting and well-written. I’ve read three of his books, and I think this is the best one yet (full review here). If I had to choose ONE book that I loved this year, I think it’d be this one. Seriously, I just want to talk about it non-stop, even two months after reading it, and I definitely want to see the movie again. It’s just SO fun and funny and interesting. It’s a bestseller for a reason (full review here). As You Wish: Inconceivable Tales from the Making of The Princess Bride by Cary Elwes. I wouldn’t consider myself a massive Princess Bride fan, but I definitely enjoy it, and this book was so fun to hear about the making of this cult classic movie, and funny things from behind-the-scenes. All year, stories from this book have been my go-to when I’m in social situations (I know, I’m a laugh a minute) and I’ve recommended this book to practically everyone who has asked what I’ve read lately that I’ve loved. Clean, funny, sweet, and a quick read – what more could you ask for? Also, if you possibly can, get the audio version because it’s read by most of the cast members and it makes it that much better (full review here). Saint Anything by Sarah Dessen. I haven’t read nearly as much young adult this year as I have in the past, but reading this one reminded me how much I love a good young adult book, and nobody does good young adult like Sarah Dessen. This is one of her best, I think – if you need a good coming-of-age book, this is a sure win (full review here). Whenever I think of this book, I think of being nine months pregnant unpacking boxes in my new closet in North Carolina. And actually, I think about this book all the time – even a few years after his death, Steve Jobs is still such a household name and it’s cool to know more of the backstory about Steve Jobs and Apple and Pixar. It’s really long, but I loved basically every page of it aside from the early dull pages about his druggie years which made me quit the first time I tried this book (full review here). Upstairs at the White House: My Life with the First Ladies by J.B. West. I read this right as Star was born and it was the perfect thing to read when I had long stretches of nursing time or rocking her – it’s kind of like six little books, one about each of the six presidents and first ladies that J.B. West worked with in the White House. If you’re at all into history, it’s a great read (full review here). P.S. I Still Love You by Jenny Han. Okay, another young adult book for the list, in the same sort of genre as Saint Anything. What can I say? I like what I like. Also, when a sequel (the first book is To All The Boys I’ve Loved Before) is totally solid, that’s terribly impressive to me. I took it with me when I flew to Cincinnati for a Pampers Baby Board event in June and between traveling solo (well, with a four month old baby which is basically like flying solo) and having a great book to read, it was one of my favorite trips of the summer. And I may have spent my whole last morning when my flight home wasn’t until noon hanging out in my room while Star napped and re-reading all my favorite parts. It kind of felt like it might be setting up for a third book, but Jenny Han says it was a duo and the set is complete with this one. The Nesting Place: It Doesn’t Have to Be Perfect to Be Beautiful by Myquillyn Smith. I read this right after we moved into our new house and it helped me feel simultaneously calm and motivated about getting our house in order. 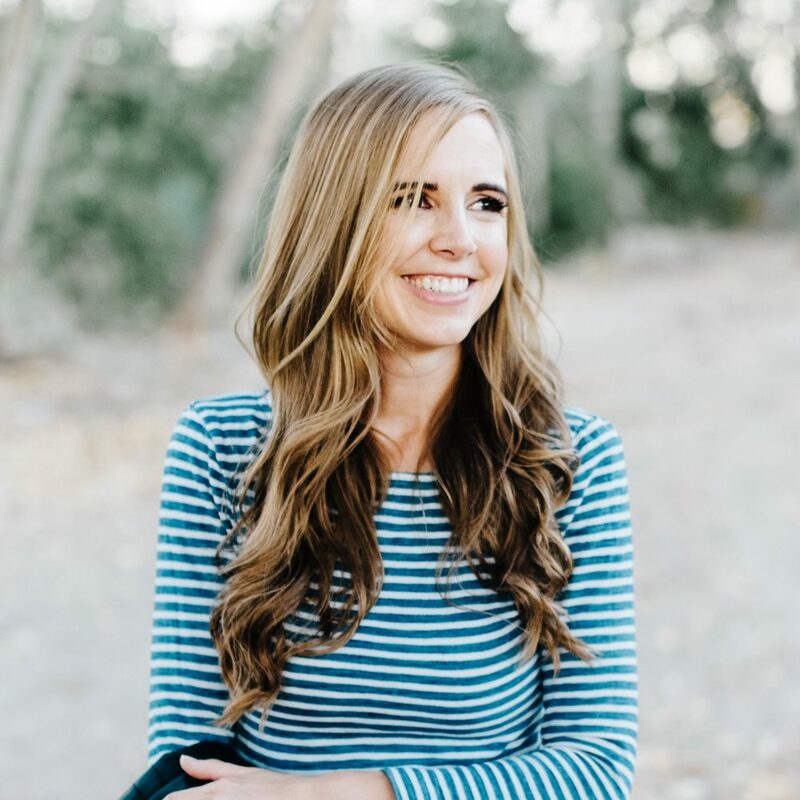 Myquillyn has the kind of writer’s voice that makes you think you would be best friends and she has a lot of great ideas for every kind of space and every budget. My mom and I kept swapping it back and forth when she was here visiting. 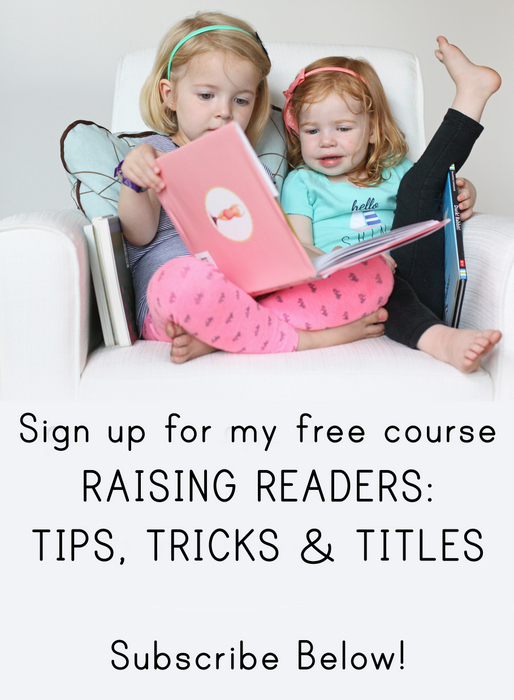 Also, I love reading her blog, Nesting Place. It’s like the book never has to end! I had exactly zero interest in reading this (and in fact I got great delight on dismissing it every time I saw it on a book list because, hey! one less book for my to-read list) because I couldn’t stand Eat, Pray, Love, but then after a few trusted friends recommended it, I picked it up and wow, it was a great way to end the year – so motivating and inspiring as I start thinking about 2016. Highly highly recommended, although it’s definitely a little bit on the kooky side (full review coming next week!). I’d love to hear what your favorite books this year were so I can add them to my list of things to read in 2016 – I’m determined to better at making time to read on my own this coming year! I love best books of the year posts so much! I just posted mine today today too. I hope you come check it out. (Intellectual Recreation) Also, I really need to read The Martian. Ooooh, I love P.S. I Still Love You. To All The Boys I've Loved Before is one of my favourite books, and the sequel is totally as good as the first. I read/ am reading a lot of these! Most based off your reviews. Also, Overdrive is a game changer. I have to tell basically every book-loving friend I have. Thanks!! I didn't love The Martian nearly as much as you did. I found it just okay. And while I get why the Mars logs were written the way they were, to sound like a dude with one to talk to for months and constantly trying not to die, it came across too much as super mega dork trying too hard to be cool. That said, the science part of it I really liked. The Gawande book is on my top 20 list, as is Concussion (Laskas), Into Thin Air (Krakeuer), The Residence (Anderson), Dead Wake (Larsen) and the annotated version of Pioneer Girl. I read (and loved) all of Rainbow Rowell's books (except for the newest one). Still Alice (Genova), Symbiont (Grant) and Terminal (Reichs) were top fiction. Added too many of these (that I hadn't read) to my to-read list. I need to start reading faster to catch up with my list! Oooo I was hoping that you would do a post like this! I'm making a list of all the books I want to read/finish next year and I think I'm going to need to add Steve Job's book, and a few more of these titles to my list! I cannot get over how much I loved Being Mortal, but As You Wish fell a little flat for me. Maybe my expectations were too high? Maybe I learned a lot of the details from watching "the making of" or something? Others need to go on my to-read list, especially The Martian which I need to both read and see. I've talked about "Being Mortal" so much since reading it that my husband gave it to me for Christmas. I loved The Martian! I also have had Being Mortal on my bookshelf since my husband bought it when if first came out. I keep meaning to pick it up but I always default to my library books because they have to go back and books that I own I can read whenever. Also, how do we follow you on Goodreads? You give the best book recommendations and it would be fun to see what you rate on there. I love your list. Requesting a couple now. So hard to narrow it down for me. Favorite audio-3 way tie. Big Little Lies-Up a Road Slowly- The War that saved my life. For book I really am lovin Kasie West books- On the Fence was a cute one. Happy New Year!